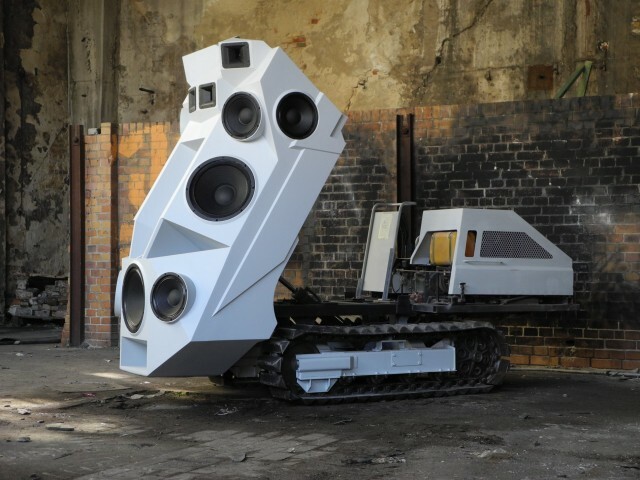 In a world of machine weapons, construction equipment waging destruction, mechanized warfare and economic mayhem, maybe giant sound machines are a friendlier alternative. Nik Novak certainly has a way of giving sound physical being. And ironically, if some of his creations might appear to assault the senses, his own sensibilities came from the frightening experience of sonic trauma. He recasts that assault in machines, but also finds ways of working with sound that get past the damage to his hearing. And far from places of fear, the club – and studio – are refuge. Seeing his constructions is something of a marvel. 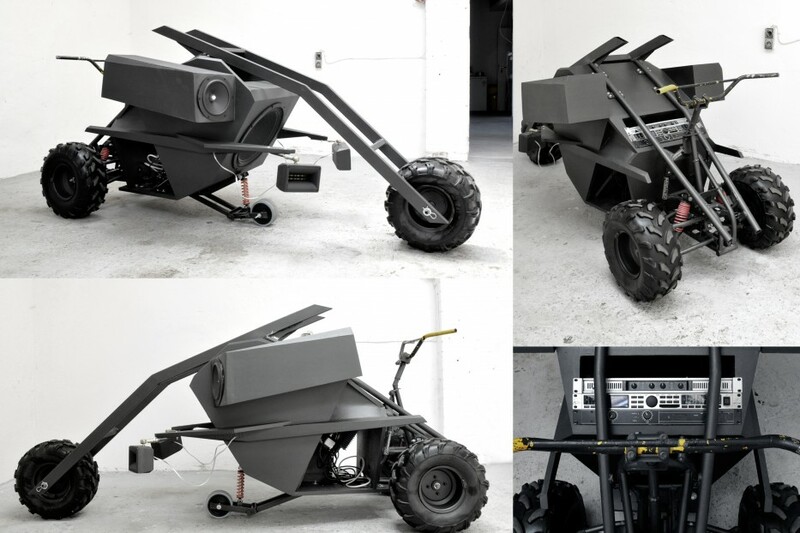 With projection mapping and original sound, he produces audiovisual works particularly designed for these machines. The architectural constructions of some also produce their own particular sonic sculptures, fused with the tangible form of the robotic/vehicular productions. Pulsator takes inspiration from the “christening” of my Soundtank, a caterpillar tracked sound system I’ve built recently. Nik Nowak vs. Ultramoodem live @ CTM 2012 from Schockglatze on Vimeo. The triple A trailer 1 from jimmy cauty on Vimeo. Emergency Broadcast Network also had a set of machines for broadcasting / launching missiles – can’t find documentation of that, unfortunately.